Every year, 15 million babies are born preterm, and of those, more than 1 million don’t survive their first month of life. Additionally, nearly 3 million babies are stillborn every year. While we hope that increased pregnancy research will allow for preterm birth and stillbirth to one day be prevented entirely, we know that the surest way to increase healthy births in the here and now is through the increased training and deployment of frontline health workers. A shining example of the tremendous impact for newborns of investments in skilled birth attendants on the frontlines has been Indonesia. With more than 4.4 million births annually, the Indonesian government has a policy to provide at least one midwife in every village to decrease the maternal and infant mortality rate. By 1997, over 96% of the population of Indonesia had access to 54,000 village-based midwives. In 2003, competency-based training in basic neonatal resuscitation, combined with supportive supervision and a low-cost resuscitation device was provided to village midwives. One year after the training, 65% of the trained village midwives had resuscitated at least one baby who did not breathe at birth, and in 85% of these cases the baby survived. More than two-thirds of the babies (70%) needed only tactile stimulation and/or appropriate positioning of the head and maintenance of warmth. From 2003-2005, the newborn mortality rate decreased by 40% from 15 per 1000 to 9 per 1000. [VB1] The training and equipment cost per baby delivered was US $0.25. Today, hundreds of thousands of frontline health workers in areas of high newborn mortality around the world have received training in basic newborn resuscitation and are available when and where babies are born to provide life-saving care. There is even more we can accomplish with what we already know, and a new report is laying the groundwork for us to get there. GAPPS contributed to the Every Newborn Action Plan (ENAP), which was recently launched at the Partners’ Forum in Johannesburg and outlines a plan for investments in quality care at birth that can save the lives of 3 million mothers and babies who die needlessly around the world every year. The ENAP points out that most newborn deaths are from preventable and treatable conditions and that frontline health workers are the best kind of investment: Low cost and high reward. Through my more than 20 year career in global health, including many years living and working in developing countries, I have become acutely aware of the importance of skilled health workers before, during, and after birth. The program I direct at GAPPS, the Perinatal Interventions Program (PIP), is developing and promoting step-by-step guides to help frontline health workers use low-cost, evidence-based solutions to quickly diagnose and appropriately treat women at risk for preterm birth, stillbirth, and other serious birth complications. The guides are designed for use in homes, clinics, birthing centers, and hospitals in low-resource communities around the world. The PIP materials aim to increase awareness and understanding of existing effective solutions and healthcare practices, as well as inform providers and mothers about harmful interventions in an effort to improve maternal and newborn health. Examples of practical guidelines that are in development include: recognizing and managing women in preterm labor; decision trees for managing delivery of a preterm infant; and caring for preterm newborns through their first week. 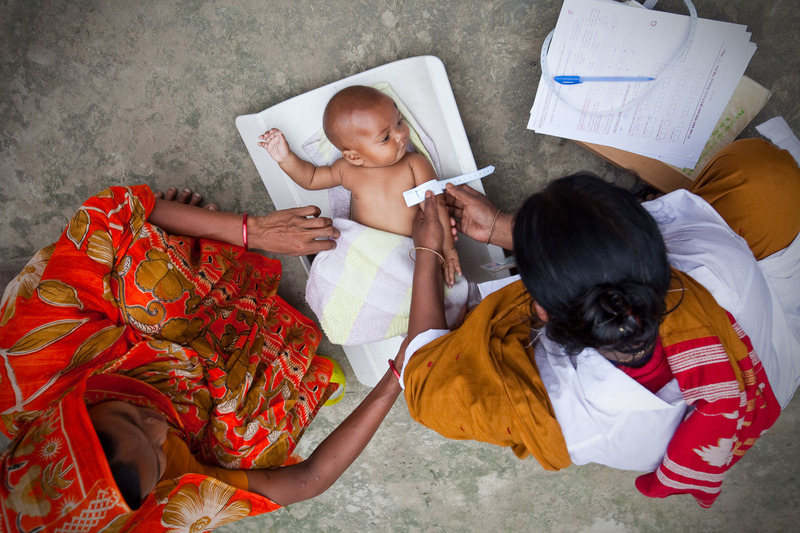 The PIP is just one example of how the global maternal and child health community is prioritizing frontline health workers, and the investments put forth in the Every Newborn Action Plan will pay dividends for millions of women and children around the world for years to come.